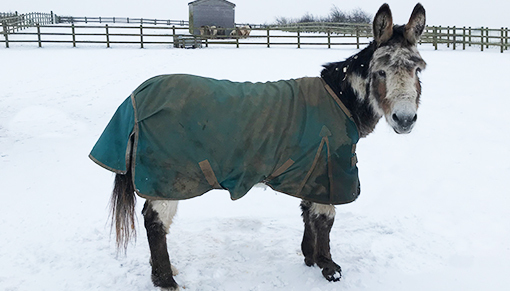 If you’re looking for some festive fun for the whole family this Christmas, then head to Redwings Aylsham for our exciting “We Love Donkeys” activities. Beginning on Friday 21st December, you’ll be able to join in with exciting talks and tours, meet our donkey residents nose-to-nose, including Adoption Stars Wiggins and Wacko, and have a go at pony grooming. You can also pull on your walking boots and take a stroll around the visitor centre’s peaceful wildlife walks - perfect for keen ramblers and dog walkers! There’s plenty of rescued residents who would also love to share a festive cuddle, including ponies and horses such as Vixen and Rudolph who were both rescued at Christmas time. View the full schedule of festive activities here. Redwings Aylsham is open every Friday, Saturday, Sunday and Monday, 10am to 4pm (closed on Tuesdays, Wednesdays and Thursdays). And entry is free! A warm cuppa and a slice of cake awaits you in our Nosebag Cafe, and there’s also a gift shop offering a wide range of souvenirs (and Christmas presents!) with all proceeds going towards the care of the hundreds of horses, ponies, donkeys and mules looked after by Redwings nationwide.